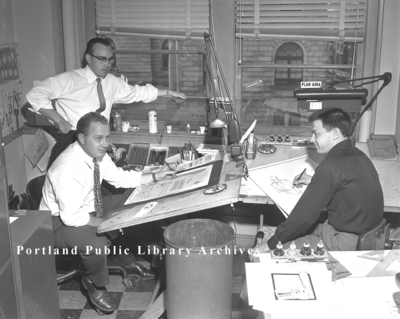 Graphic Designers, Portland Press Herald, 1957. 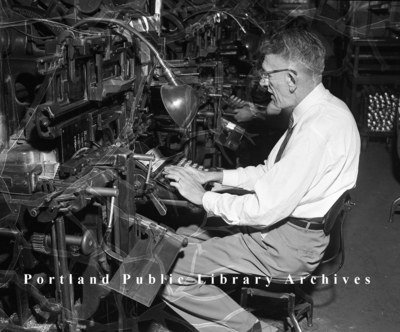 Linotype Operator, Portland Press Herald Pressroom. 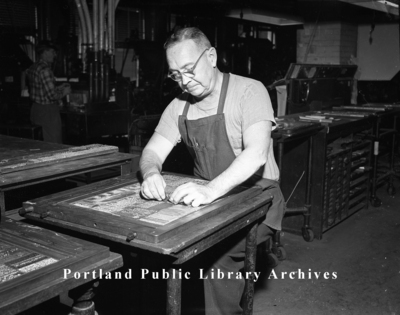 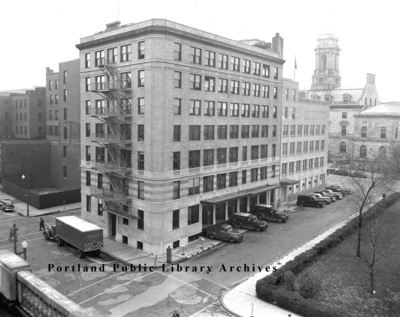 Typesetter, Portland Press Herald Pressroom, 1957. 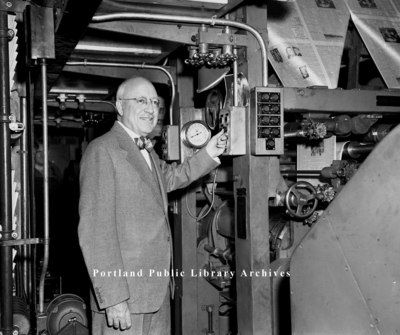 Guy P. Gannett Switching on New Presses, 1948. 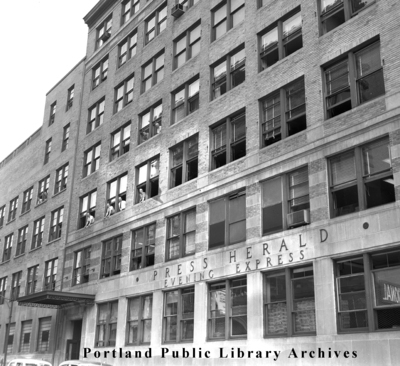 Press Herald Building (Gannett Building), 1948. 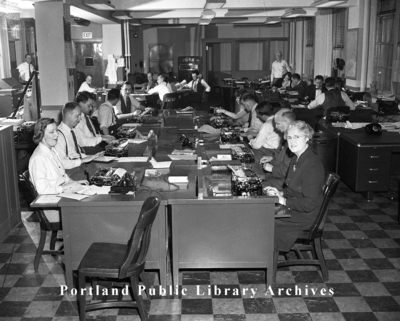 Typists, Portland Press Herald, 1948.